A simple implant can be placed in as little as ten minutes. Once the implant is placed we need to wait ten weeks for the implant to bond to the bone. 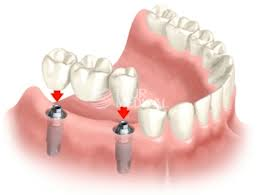 We can then make a crown to fit the implant. Whilst we are waiting patients can still wear their denture or temporary tooth. 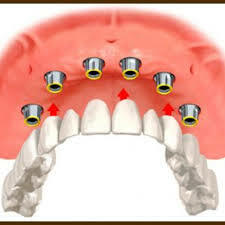 In some cases where the bone is strong we can fit a temporary crown to the implant straight away. Telephone 01384 390797 to book a free consultation. At your first visit we will discuss what treatment you would like. We can explain how the treatment is carried out and the costs involved. This visit is entirely free including any x rays. We then send you a written treatment plan which you can think about at home. You can then contact us to start treatment or to come back again for more discussion. This second consultation is also free. We don’t charge for our consultations because seven out of ten people who have a consultation go on to have their treatment carried out.